GIS Day is a great time to highlight the importance of maps, geographic information systems and the importance of “where” with your students and staff. It is also an opportunity to invite a GIS Ambassador to share their experience with your students. This year it was officially celebrated around the world on Wednesday, November 16th. Find out what Canadian students, professionals and educators did to celebrate this special day in support of K-12 education, and discover the 6 reasons you should get involved next year. GIS Day was officially celebrated on Wednesday, November 16th, but many events will be held after that date. 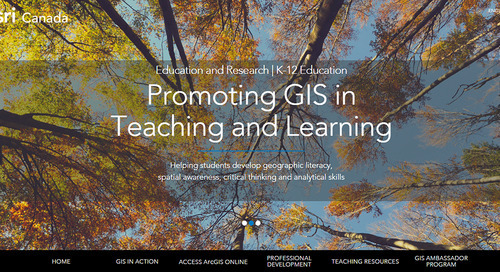 As usual, the K-12 group was busy facilitating GIS Day workshops, connecting GIS Ambassadors with K-12 school events, spreading the joy of GIS and preparing relevant GIS Day resources. The Education and Research group celebrated GIS Day with some well-deserved cake on November 16, 2016. The 2016 GIS Day events included grades 7-12 students. 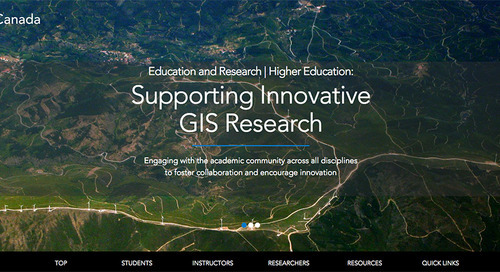 They were given opportunities to learn about the importance of maps and GIS, to discover interesting story maps that cover various topics and to do hands-on activities in ArcGIS Online. Explore our story map that highlights some of the K-12 GIS Day events that have happened across the country, so far. If you did not get involved in a GIS Day event this year, here is 6 reasons why you should in 2017. Your GIS Day event can be held on any day in 2017. Contact us at k12@esri.ca if you have any questions and would like to learn how you can get involved in a GIS Day event next year.